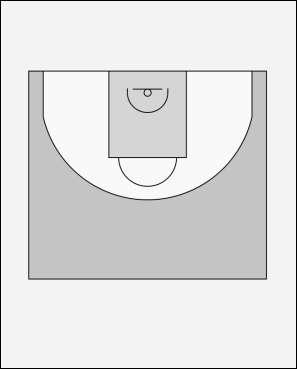 • The first perimeter player in each line starts with a line on the 3pt line. • Perimeter players pass to the post player, then takes one step towards the baseline. • The perimeter player makes a hard cut up to the top side of the post. • The post player passes to the perimeter player who makes a layup. • After the shot, the players change lines.